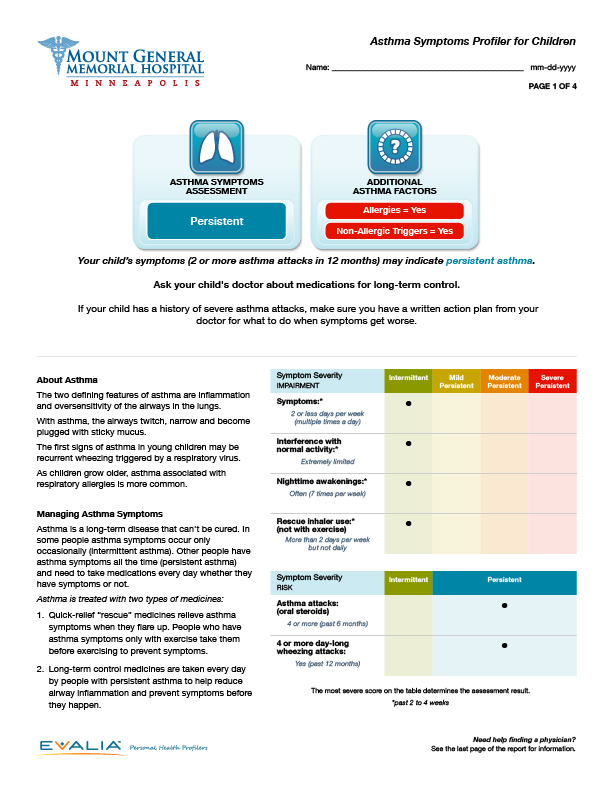 Reinforce the importance of asthma symptom management. 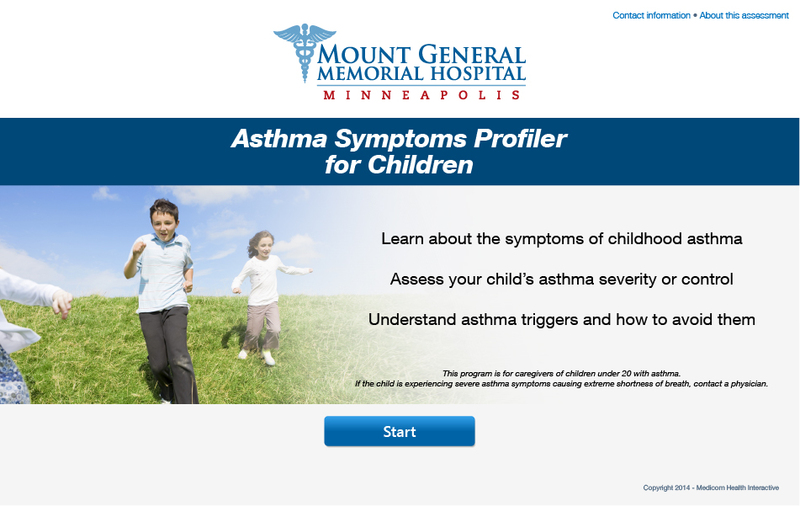 With asthma affecting approximately 6.8 million American children and no known cure, managing symptoms is important in improving the child’s quality of life and reducing unnecessary doctor visits. 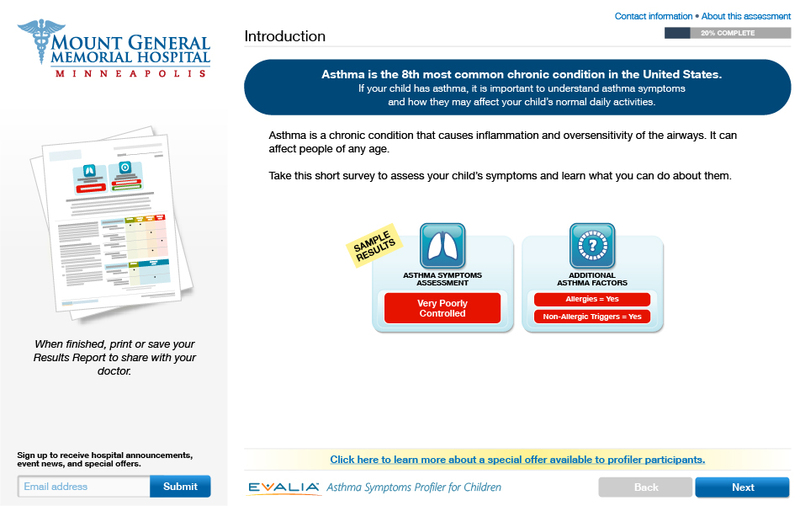 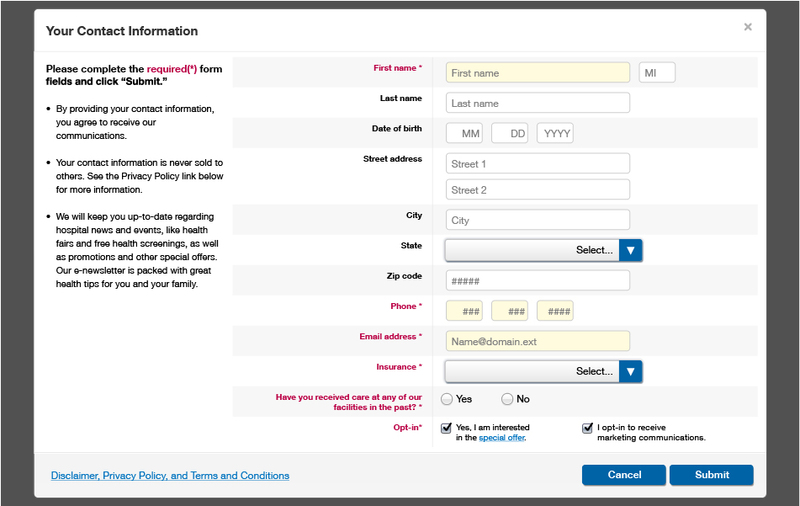 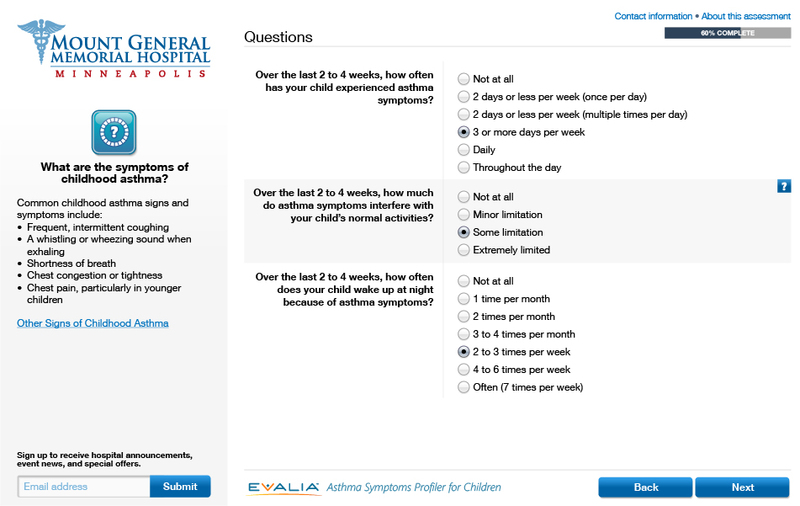 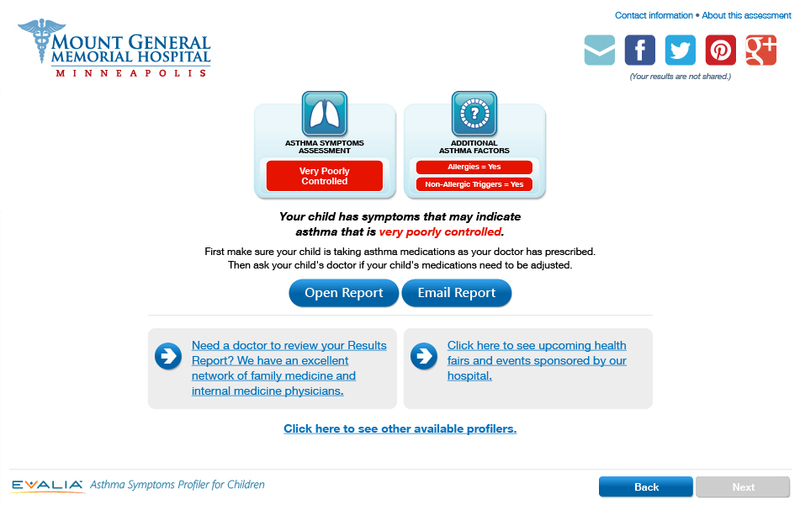 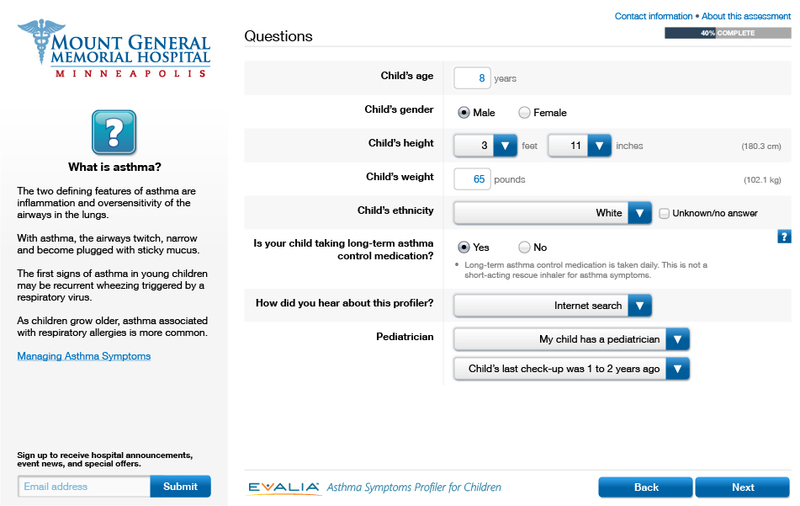 The profiler allows parents and caregivers to answer a series of questions and receive a personalized assessment of the child’s asthma symptom severity or control as well as other helpful information and recommendations on treatment.